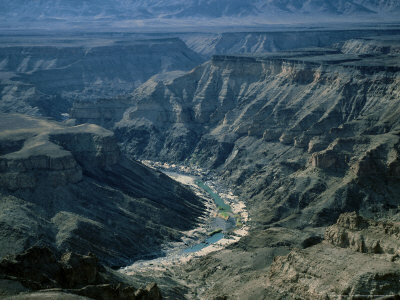 Africas largest canyon lies south in Namibia. It is second only to the Grand Canyon in America. It is 160 kilometers long, up to 27 kilometers wide and almost 550 meters deep. The Fish River, which flows inside the canyon, is only flowing during the late summer.